You can read the responses on their website. 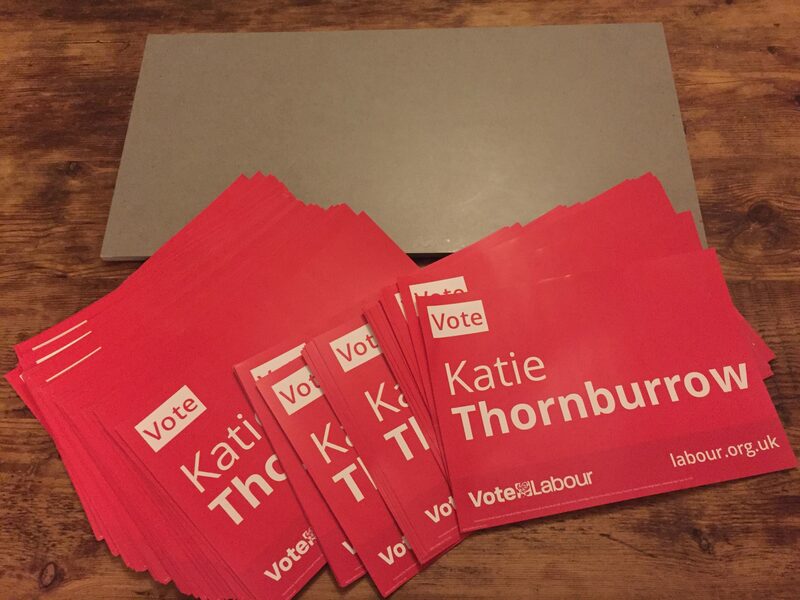 It’s the weekend before the election on May 4, and we’re getting everything ready for the day – including sorting out computer and printers for our Committee Room, arranging lists of volunteers to help on the day, and putting our final leaflet together to deliver. This campaign has been an extraordinary experience for me, and I’ve been lucky enough to work with an amazing team of people, including my campaign manager, George, whose energy, insights and sheer dedication have made all the difference. 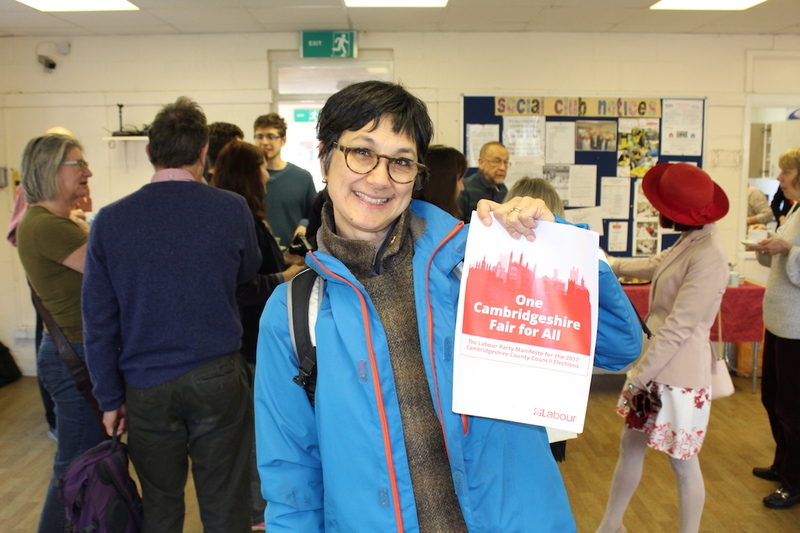 The Labour Party is built on cooperation, and I’ve enjoyed helping out with other campaigns around Cambridge and been grateful for the help we’ve received in Trumpington. And on Friday we’ll know how it went. 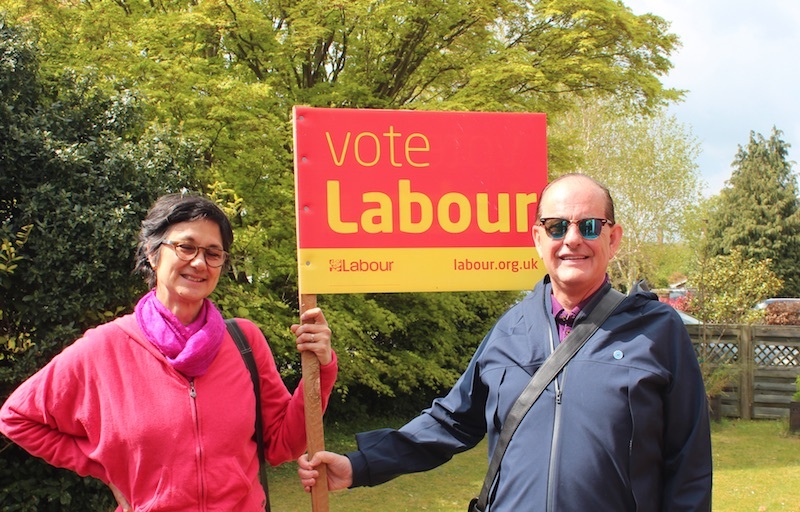 On Sunday April 24th we were joined on the canvassing trail by Martyn Ware, well known as a member of Heaven 17 and a founder of The Human League – it was great to have his support speaking to people in Trumpington, especially as the snap General Election has given our campaigning even more importance! One of the things that people often raise when we’re out canvassing in Trumpington is bin collections – whether it’s because the new schedule means that collections or missed or because of problems with bin lorries getting into some of the newer developments. Having rubbish pile up is a real problem, and the City Council puts a lot of effort into making sure this doesn’t happen – but sometimes things do go wrong. 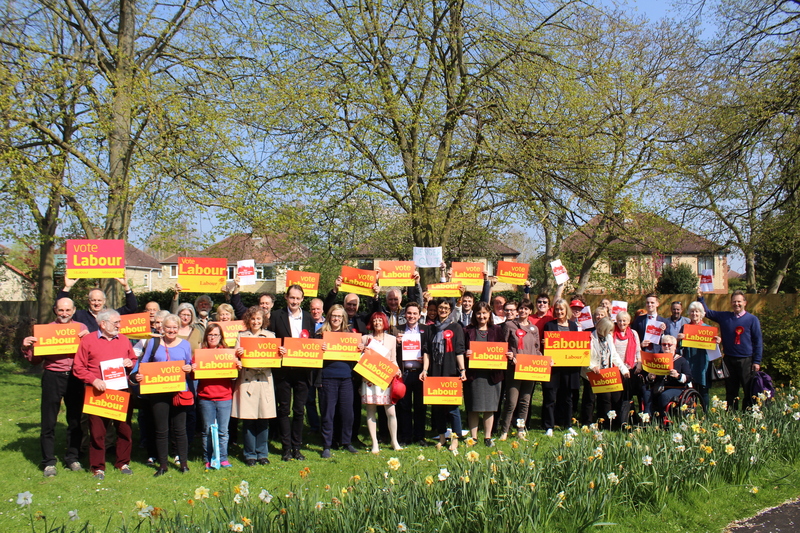 There are many good things in the just-launched 2017 Cambridgeshire County Council Manifesto and you can read them all on the Labour group website. However the one area I’m most excited about is the section on Environment and Climate Change, which I helped on. It’s a great statement of what Labour could do with a stronger voice on the County Council. Environmental concerns and dealing with climate change are at the top of the Labour Party’s agenda, illustrated by our support for reduced car use and better public transport, energy efficiency throughout the county’s properties and a reduction in the county’s carbon footprint. We will pursue sustainable green policies throughout the County Council. We will pioneer plans to cut emissions from buses and taxis. One-third of Cambridgeshire is below sea level and the County Council’s refusal to take the risk of climate change seriously threatens property and livelihoods across the county. Labour will support a comprehensive strategy for the management of flooding and draught conditions across the county. We believe in renewable energy and we will encourage organic practices throughout the County Council’s extensive farms estate. Develop a climate change strategy which aims to make Cambridgeshire a zero-net carbon county by 2050. To lead the way, we would reduce emissions from our own estate and property portfolio and work with partner organisations across Cambridgeshire to cut carbon emissions. We would invest further in green energy using council income and applying for national grants to reduce the county’s carbon footprint. Divest the County Council’s substantial pensions and investments fund from fossil fuels. This would make the County Council fossil fuel free and a model for other public sector as well as private sector organisations. Work with residents, businesses and other organisations to reduce vehicle emissions across Cambridgeshire. We would work with coach, bus and taxi operators to seek funding for transformational reductions in diesel emissions to improve public health. Provide high quality green infrastructure. We would use all opportunities offered by planning, the City Deal and other projects to achieve green public spaces. This includes planting more trees and ensuring that new developments provide the open space and recreational facilities that residents need. Promote energy-saving schemes by building on the collective energy switching policy to use the collective power of Cambridgeshire residents to negotiate cheaper energy prices. We would improve promotion and advertising and create a private sector energy officer to improve information, publicity and uptake of energy and insulation schemes such as the Green Deal and the Energy Companies Obligation. Develop a new food nutrition, production and security policy. This would develop the principles of the previous Labour government’s ‘Food 2030’ strategy which was abolished by the coalition government. Our policy would prioritise reducing the number of people in food poverty as well as those suffering from malnutrition and obesity due to changes in food processes and diets. It would also ensure that everyone in Cambridgeshire is ‘food literate’ in the same manner that local authorities are attempting to increase online literacy. We would provide guidance and best practice information for food producers. We would review the provision of school meals and ensure they are sustainably sourced with good educational initiatives for children. This morning I was at the community hall on Lichfield Road for the launch of the Labour Party manifesto for the Cambridgeshire County Council elections. It was great to be with so many of my fellow campaigners and activists – and friends – and to hear from Councillor Ashley Walsh and our MP Daniel Zeichner. 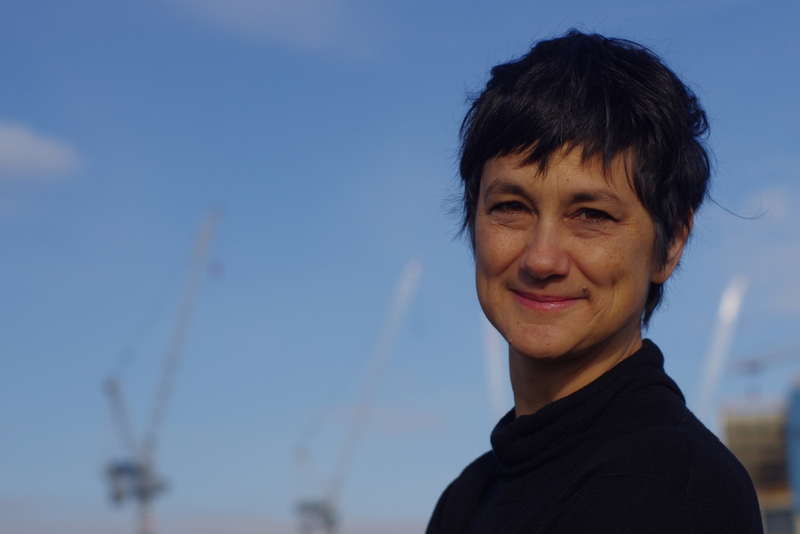 You can read the manifesto on the Labour website, and it’s great to see that food policy, sustainable development and an active engagement with the effects of climate change all appear prominently as these issues matter a lot to me. After the launch we were off to canvass in Queen Edith’s, and this afternoon we were in my ward, Trumpington – so I’ve walked a lot and talked to a lot of people. Tomorrow we’ll be out again, and I may be knocking at your door! My campaign posters have arrived and are ready to be distributed. It will be strange to see my name in people’s windows – but I am looking forward to it and to the rest of the campaign. If you haven’t yet registered to vote on May 4 you have until April 13 – the website is very easy to use.